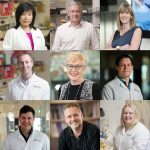 Associate Professor Suzie Miller is an ARC Future Fellow (2014-2017) and a member of The Ritchie Centre’s Fetal and Neonatal Research Theme. A/Prof Miller is a fetal physiologist, who leads the Neurodevelopment and Neuroprotection Research Group. 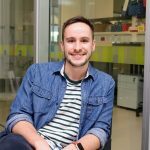 A/Prof Miller undertook postdoctoral training in developmental neuroscience at University College London (UCL) with the Centre for Perinatal Brain Protection and Repair. 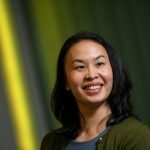 She returned to Monash University in 2001, and in 2010 was recruited as a senior scientist and group leader to The Ritchie Centre. 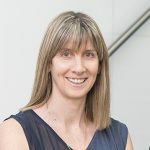 A/Prof Miller has developed a comprehensive program of perinatal brain research, with established models of the principal causes of newborn brain injury – fetal growth restriction, intrauterine inflammation, preterm birth and birth asphyxia. Her group combines interrogation of the basic cellular pathways activated within the immature brain in response to common, but often devastating pregnancy or birth complications, and clinical application of therapies to prevent or repair newborn brain injury. This approach has led to the recent commencement of a world first human clinical trial at Monash Medical Centre to examine melatonin therapy to protect the developing brain in pregnancies compromised by fetal growth restriction and a trial to examine markers and protective strategies to address high rates of birth asphyxia in a low-resource (rural India) birth setting. A/Prof Miller has been successful in securing >$5 million in NMHRC grants and philanthropic or other foundation grants. The latter includes grants from the Cerebral Palsy Alliance and a highly competitive start-up grant from the Bill and Melinda Gates Foundation Grand Challenges that is funding work in India. In November 2013, A/Prof Miller was awarded an Australian Research Council Future Fellowship, the only successful Future Fellowship in the field of Paediatrics and Reproductive Medicine. She has also recently been awarded a prestigious Career Development Grant from the Cerebral Palsy Alliance of Australia. Aridas JD, Yawno T, Sutherland AE, Nitsos I, Ditchfield M, Wong FY, Fahey MC, Malhotra A, Wallace EM, Jenkin G, Miller SL (2014) Detecting brain injury in neonatal hypoxic ischemic encephalopathy: closing the gap between experimental and clinical research. Exp Neurol Jul 28; 261C:281-290. Miller SL, Yawno T, Alers NO, Castillo-Melendez M, Supramaniam VG, VanZyl N, Sabaretnam T, Loose JM, Drummond GR, Walker DW, Jenkin G, Wallace EM (2014) Antenatal antioxidant treatment to decrease newborn neurodevelopmental deficits and brain injury caused by fetal growth restriction. J Pineal Res 56(3):283-294. Alers NO, Jenkin G, Miller SL, Wallace EM (2014) Antenatal melatonin as an antioxidant in human pregnancies affected by fetal growth restriction; a phase I pilot clinical trial. BMJ Open 3(12): e004141. Castillo-Melendez M, Yawno T, Jenkin G, Miller SL (2013) Stem cell therapy to protect and repair the developing brain: a review of mechanisms of action of cord blood and amnion epithelial derived cells. Frontiers Neurosci Oct 24;7:194. Yawno T, Castillo-Melendez M, Jenkin G, Wallace EM, Walker DW, Miller SL (2013) Mechanisms of melatonin induced protection in the brain of late gestation fetal sheep in response to hypoxia. Dev Neurosci 34:543–551. Rodricks CL, Gibbs ME, Castillo-Melendez M, Miller SL (2010) The effect of hypoxia on the functional and structural development of the chick brain. Int J Dev Neurosci 28(4):343-50.